Learning that you have a chronic illness can bring up many different feelings. If you are going to live a rich and full life, you will have to learn to Master it. It can be a shock to learn you have a chronic illness. You may ask "why me?" or "where did it come from?" The fact is, it doesn’t matter other than to quench your curiosity. You have it and there may be no reason at all. The focus now should be how to best manage the illness. Imagine finding yourself navigating the unpredictable reality of chronic disease, the term used to describe any long-term illness that can last or recur over a lifetime. Such conditions affect tens of millions of Americans, mothers and fathers, even young children, and include diagnoses like MS and other autoimmune dis-eases, as well as diabetes, asthma, and depression. Because of treatment breakthroughs and the likelihood of recurrences, cancer is also often considered a chronic illness, not just a terminal one. Even on the days and weeks that these patients are symptom-free, they live with the threat of flare-ups, as well as the worry of how they will care for themselves and their families when their lives are interrupted by the demands of their illness. Sometimes nothing can explain why you got the illness. I have Fibromyalgia. No one knows what causes it. We know that a large percentage of patients suffered from childhood abuse. It’s about 80% as a matter of fact. The illness may run in your family. I discovered just before she died that my mother also had it. She and I were both pretty severely abused growing up and in our young adulthood. But that doesn’t explain the 20% who suffered no known abuse. Why do they have it? You may have been exposed to something that caused the illness. Strokes, lung cancer, depression, type 2 diabetes, COPD, chronic kidney disease, several cancers, hepatitis and others are all caused by exposure to environmental substances, food and food additives, plus poisons that we voluntarily expose ourselves to such as cigarettes and alcohol and drugs. With your doctor’s help, learn everything you can about your illness. As you learn more about your illness and how to take care of yourself, your feelings may change. Fear or shock may give way to anger because you have the illness, sadness or depression because you may not be able to live the way you used to, and confusion or stress about how to take care of yourself. For many, the first hurdle is revising their expectations of family life. "Of course, you can still be a loving family, but some adjustments will have to be made," says Elvira Aletta, Ph.D., a psychotherapist in Amherst, New York, and mother of two who has been diagnosed with scleroderma, a chronic auto-immune illness. "Your family life will not look the way you imagined it would. That's a loss, and it hurts a lot." A chronic illness can even change your plans about having children. With Diabetes, Fibromyalgia, Chronic Depression and an anxiety disorder, I was always waiting for a better time. Then when one finally came, I was in a car accident and there would have been days that I couldn’t lift my baby. Then, at 63, I had to have a radical hysterectomy because endometrial cancer. That dream is over for me. I still think of adopting an older child. Besides such big-picture adjustments, there are day-to-day shifts. Constantly recalibrating is really important. Maybe your shoulder pain is so severe that you can't pick up your child today, or your energy level makes even the simplest games impossible. You have to be much more adaptive. Know that you will adapt over time. You will feel like yourself again as you learn how to fit your illness into your life. Know that what may be confusing at first starts to make sense. Give yourself time to learn how to take care of your illness. Be aware that it takes a lot of energy to manage a chronic illness every day especially if there is pain involved. Pain in an energy vampire. Sometimes this can affect your outlook and mood. Often you will feel very alone. This can be true even in the middle of a crowd. This is especially true during times when your illness is harder to manage. There will be times when you feel some of the feelings you had when you first got the illness. Depression that you have the illness to start with. It can feel like life will never be okay again. Sometimes you will feel angry. It still seems unfair that you have the illness. Would it be fairer if someone you know had it? Of course not! Life just isn’t fair. You may cycle back through anger, especially if there is something you want to do that in the past you would have been able to do – but no more. Fear is a real threat. You may become more ill over time. You may run across someone who has the same illness much worse that you do and fear that one day you’ll be where they are. Or perhaps you will see someone who has a very mild case of the same disease and you’re wondering why you had to be the one to get it bad. I read about a man named Bruce Feiler, of New York City, who learned that he had a seven-inch cancerous tumor in his leg, he immediately thought of his twin daughters, who were 3 at the time. "If I die, will they wonder who I was? Will they yearn for my voice? I thought about the things I'd miss -- the boyfriends I might not be able to scowl at, the art projects I wouldn't get to hang on the wall," he says. For many people, disease-specific support groups can be very beneficial and are often the only outlet where they can discuss their condition freely. One woman, for example, says an MS group was extremely helpful in the early days, providing perspective and even a dose of gratitude. "My injections cost $2,000 a month," she says. "I met women in the group who couldn't afford medication, and I realized that we're so lucky to have an insurance plan that covers it." Meditation practice can positively influence the experience of chronic illness and can serve as a primary, secondary, and/or tertiary prevention strategy. Health professionals demonstrate commitment to holistic practice by asking patients about use of meditation, and can encourage this self-care activity. Simple techniques for mindfulness can be taught in the clinical setting. Living mindfully with chronic illness is a fruitful area for research, and it can be predicted that evidence will grow to support the role of consciousness in the human experience of disease. Dr. Melania Lizano reports that patients understand when she recommends meditation to control stress in their lives, even when she prescribes it for anxiety or depression. But when I suggest that my patients learn to meditate to help them lose weight, change bad habits, or deal with disease, they seem surprised. They always ask how meditation could possibly help them deal with things like fibromyalgia, migraines, or chemo treatments, and they surely doubt it could help them control their weight. But it does! Although meditation originated as a spiritual practice, with origins dating back thousands of years, its popularity in the West is based on its powerful ability to control stress. What they don’t realize is that stress and anxiety are common causes of illness and can lead to chronic disease. 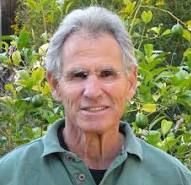 Dr. Kabat-Zinn received his Ph.D. in molecular biology from MIT in 1971 with the Nobel Laureate in physiology and medicine, Salvador Luria. Dr. Kabat-Zinn's research between 1979 and 2002 focused on mind/body interactions for healing, on various clinical applications of mindfulness meditation training for people with chronic pain and/or stress-related disorders, on the effects of mindfulness-based stress reduction (MBSR) on the brain and how it processes emotions, particularly under stress, and on the immune system; on the use and effects of MBSR with women with breast cancer and men with prostate cancer; on patients undergoing bone marrow transplant; with prison inmates and staff (view PDF); in multicultural settings; and on stress in various corporate settings and work environments. Mindfulness Based Stress Reduction brings together mindfulness meditation and yoga. Although MBSR is a training with potential benefits for all types of participants, historically, students have suffered from a wide range of chronic disorders and diseases. MBSR is an 8-week intensive training in mindfulness meditation, based on ancient healing practices, which meets on a weekly basis. Mindfulness practice is ideal for cultivating greater awareness of the unity of mind and body, as well as of the ways the unconscious thoughts, feelings, and behaviors can undermine emotional, physical, and spiritual health. The mind is known to be a factor in stress and stress-related disorders, and meditation has been shown to positively effect a range of autonomic physiological processes, such as lowering blood pressure and reducing overall arousal and emotional reactivity. In addition to mindfulness practices, MBSR uses yoga to help reverse the prevalence of disuse atrophy from our culture's largely sedentary lifestyle, especially for those with pain and chronic illnesses. The program brings meditation and yoga together so that the virtues of both can be experienced simultaneously . The MBSR program started in the Stress Reduction Clinic at the University of Massachusetts Medical Center in 1979 and is now offered in over 200 medical centers, hospitals, and clinics around the world, including some of the leading integrative medical centers such as the Scripps Center for Integrative Medicine, the Duke Center for Integrative Medicine, and the Jefferson-Myrna Brind Center for Integrative Medicine. Many of the MBSR classes are taught by physicians, nurses, social workers, and psychologists, as well as other health professionals who are seeking to reclaim and deepen some of the sacred reciprocity inherent in the doctor-caregiver/patient-client relationship. Their work is based on a need for an active partnership in a participatory medicine, one in which patient/clients take on significant responsibility for doing a certain kind of interior work in order to tap into their own deepest inner resources for learning, growing, healing, and transformation. Mindfulness-Based Cognitive Therapy (MBCT) is a form of MBSR that includes information about depression as well as cognitive therapy-based exercises linking thinking and its resulting impact on feeling. MBCT demonstrates how participants can best work with these thoughts and feelings when depression threatens to overwhelm them and how to recognize depressive moods that can bring on negative thought patterns . Mindfulness is a lifetime engagement--not to get somewhere else, but to be where and as we actually are in this very moment, whether the experience is pleasant, unpleasant, or neutral. Continue your education about Ritual Humanism® in our next section, Ritual.